Frank Rowe, owner of MadHatz, stands in his newly opened store in Canal Commons, in downtown Oswego. Frank Rowe, of Oswego, announces the opening of his new store, MadHatz, located at 193 W. First St., in Canal Commons, in downtown Oswego. Rowe, the owner of the new specialty store, officially opened for business Friday, Nov. 2. "Right now, most of the hats are baseball cap style, mostly sports-related," he said. "But I will be expanding into all types and plan to have beanies for the winter and some cool Santa hats for the holiday." 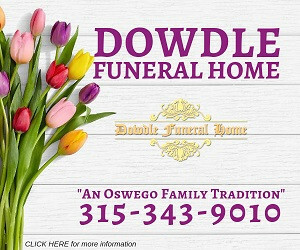 Rowe, who is from Oswego, said there were a couple of things that led him into opening a business for himself and this type of store in particular. "First of all, I work in the demolition field, which is seasonal," he explained. "So I started brainstorming ideas of what my interests were to do something to supplement that and I noticed the lack of hat stores in Oswego." Add to that the additional motivation of a baby son on the way and the desire to provide a more steady source of income, and Rowe came up with MadHatz. "I actually had the idea for a while, but didn't have the means or resources until about eight months ago," he said. Rowe said he noticed the vacant store front in the commons when visiting Taste the World and thought it was exactly what he wanted. Not only does he have the storefront, but customers can go to Madhatz.net to buy his hats as well. "I am currently in the process of updating the merchandise on the site, so I will be adding more all week," he said. "The in-store inventory will also be expanding as I grow and right now everything in the store is 20 percent off." MadHatz is open from 10 a.m. to 6 p.m. seven days a week.